One of the holy Ghats in Rishikesh district, Triveni Ghat is known place amid pilgrims. The name Triveni is formed by two words Tri which means three and Veni which implies confluence of three. 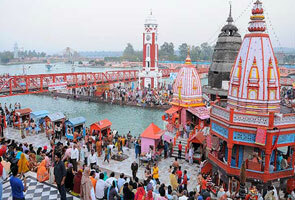 Triveni ghat is situated at the confluence of three holy rivers, the Ganga, The Yamuna and the Saraswati. Pilgrims from different corners arrive here to take a holy dip in the river and offer prayers. Evening aarti is performed everyday at Triveni Ghats that is simply a captivating sight and different hymns are recited in praise of the river Ganges. 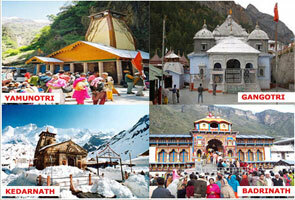 Triveni Ghat is the most famous tourism spot in Rishikesh because of its high religious significance. It is believed that a holy dip in the Ganges River washes away all sins and so people from various places come here to take a dip in Ganges River. Besides, everyday Ganga Aarti is performed at the Ghat that is managed by the Ganga Seva Samiti. For participating in the Ganga Aarti one has to pay a nominal fee amount. The Seva Samiti uses the amount gathered for cleanliness of Ganga and during festivals. Tourists can take a boat ride in the Ganges River. Boating service is offered by Swami Narayan Mission Society. The cost person is very reasonable. 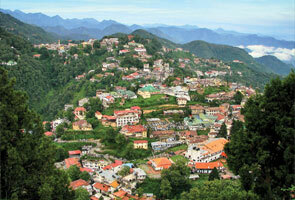 Geeta temple and Laxmi Narayan Shrines are famous shrines on Triveni Ghat. 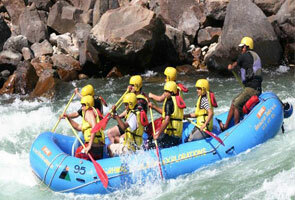 Triveni Ghat is situated in one of the prominent cities of Uttarakhand, Rishikesh. Tourists can arrive here via taxi or an auto.